(1) Significant academic entrance testing from Grade 1 in English, Mathematics, French and Hindi. (3) SEND is currently being developed at the school. Currently There are 96 students of determination (approximately 4.4%). We expect to see an absolute minimum of 5% intake of students with SEND rising in the best schools to 10%. We find the current inclusion policy at odds with the much more welcoming philosophy of the parent charity/owners which significantly and impressively invests in SEND. Lata Nakra, Principal, JSS International School Dubai. “The JSS Mahavidyapeetha, Mysore, India has over six decades of experience in running over 300 Educational Institutions across the Globe. Dr. D P Shivkumar, Chief Executive Officer, JSS International School Dubai. 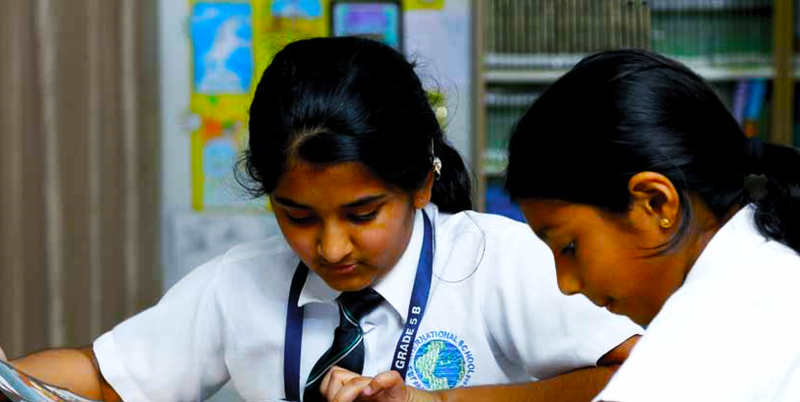 JSS International School Dubai is one of very few CICSE schools in Dubai, operating in an otherwise dominating CBSE Indian curriculum school environment both in Dubai and the broader UAE. That may well prove the first draw for the school, but the bigger picture for us is the focus at JSS International School Dubai on subject breadth – more on this below. 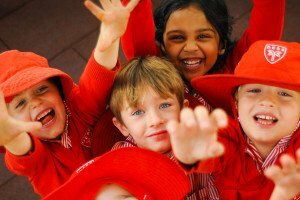 In a somewhat eclectic mix of curricular, Early Years cascade through British EYFS and Ontario curriculum standards during Early Years provision. Interestingly the KHDA critiques the directed style of teaching at this phase – something that does not reflect the structure of either. 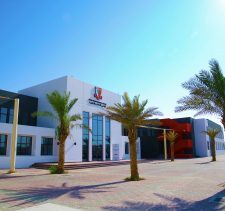 JSS International is now based in Jumeirah Village Circle 2, following its move from Al Barsha to an (outstanding) new purpose-built school in 2017. 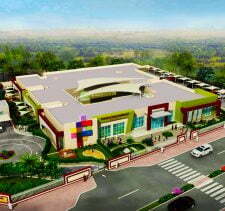 The school sits on a total 5.8 acre site located just off Hessa Street as it bridges the Al Khail Road. The school is mixed, co-educational, educating around 2170 boys and girls between the ages of four and seventeen years of age. English is the primary language with extensive secondary language provision in Hindi, French,Sanskrit and Arabic, the latter compulsory across all phases. Student examinations are provided in both the ICSE (Indian Certificate of Secondary Education) and the ISC (CISCE Indian School Certificate). JSS international is certainly not your average independent Indian school. Some explanation comes from its not-for-profit heritage in the JSS Mahavidyapeetha, a hugely impactful charitable trust which traces its roots at least back to the 11th century. 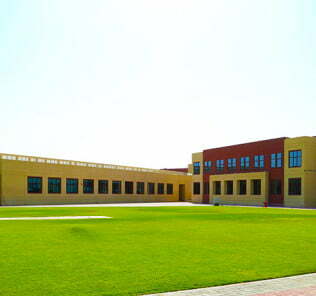 JSS International, and its sister JSS Private School in Al Wasl, were established by the trust in part as a response to a crisis in availability for Indian education in the emirate that saw demand more than double available supply of places. Typically, Indian curriculum schools heavily restrict subject choice for students to Science and Commerce streams – but not every child can, or should, be pushed into such restrictive boxes, not does every child wish to become a Doctor or an Accountant. Broader subject choice enables a school to meet the true potential, needs, ambitions and abilities of the broadest range of children – and children studying areas of knowledge they are interested are much more likely to excel in those subjects. At JSS International School Dubai the commitment to broader subject choice manifests itself in three curriculum streams, this provided by an extra Humanities Stream in parallel with traditional Science and Commerce Streams at Grade 11. Interestingly, (1) Humanities are made compulsory, and (2) technical stream options (including fashion design) are (impressively) made available, in Grade 9. 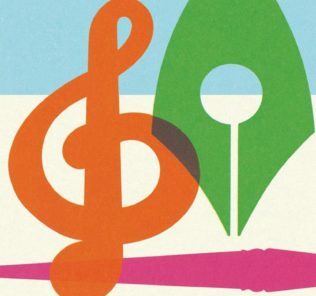 Education, Art and Craft, SUPW and Music. There is however a word of caution. All subjects are provided only with a minimum class size of 15 students. We think that the school should review this. A genuine commitment to subject choice would see all subjects delivered regardless of uptake. If the school undoubtedly impresses with subject choice, the picture is much more mixed in terms of academic and SEND inclusion. Significant entry testing takes place from Grade 1 and the degree to which this is used to filter more academically gifted children is not clear. SEND intake runs at less than 5%, and delivery is mixed. To be fair, JSS International School is open that it is mid way through seeking to completely re-define and improve SEND provision at the school, with an end-date set of 2020 to have achieved this. But until we see SEND intake achieving considerably more than the 5% we set as our benchmark for genuine school admissions commitment – and see this aligned with much greater investment and more curriculum modification, we cannot provide an unambiguous recommendation of the school for students of determination. Equally, whilst JSS International does provide some limited information on examination performance, it does not identify the exact number of children who actually sit examinations at each phase. As a result, the examination data that is provided is meaningless beyond stating with any certainty that some children achieve exceptionally highly. No data at all is published on added-value or child progress. 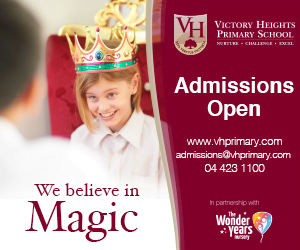 Facilities again offer considerable depth and breadth and include specialised classrooms for Dance, Drawing/Painting/Fine Art, Sculpture, Pottery, Craft, Music and Science Labs by phase and specialism; It Labs; Language Labs, Mathematics Labs; Internet equipped classrooms set up for blended learning; AV centre; Broadcast Centre extensive playground space; Cricket Pitch; Swimming Pool; dedicated Kindergarten and Senior libraries, Independent KG Learning Centre, Gymnasium; Sports Hall (including facilities for badminton, basketball and table tennis); Floodlit Athletics Track; Infirmary, Library; Independent Project Room; Book Store; 250-seat Cafeteria; Parents Centre; 1200 Capacity auditorium; rooftop basketball court; and Counseling/Careers Centre. Sports include athletics; squash; cricket; swimming; basketball; chess; football, Duke of Edinburgh adventuring and table tennis. Fees run rounded from AED 14K to AED 37K. 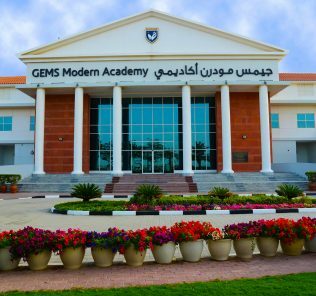 To put context to this, the ultra-premium Tier 1 GEMS Modern Academy, which is our benchmark for an Outstanding level of school delivery, run from rounded AED 28K to 52K for the equivalent (rather than IB) curriculum. For the IB these increase to AED 51,364 but this not relevant here in terms of fair comparison. 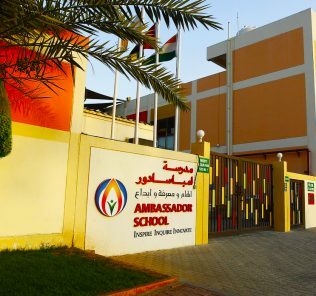 The broadly and more fairly comparable Ambassador School fees run rounded AED 21K to AED 42K. For a CISCE education at the Good with Very Good and Outstanding features level of delivery, we rate the fees, whilst mid tier for the Indian school sector as a whole, low. The value proposition/ROI here we rate as high. Notwithstanding this, each of the three schools excels in different areas and parents are strongly advised to visit all three schools. School life is structured through four houses, assigned when children first join the school, an empowered student council and an integrated system of prefects, captains and co-ordinators. 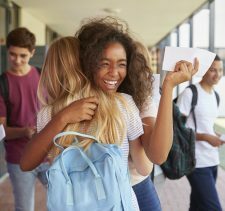 Our sister site, WhichSchoolAdvisor.com continues to receive mixed feedback from parents and students, from the extremely positive to mixed feelings in their recommendations. To some degree this is understandable given its mixed EYFS, Canadian and ICSE curriculum by phase and the strong demands of Indian families for academic success. Our view is that JSS International School provides a good, borderline Very Good standard of education relative to its sector and budget – and the dedication of its leadership and teaching staff to their students is beyond question. Notwithstanding the move to a new purpose built school, do not expect the bells and whistles of Tier 1 schools. On its own terms, however, JSS International School Dubai is one of which parents, teachers and students can feel very proud. It’s also one, with the ongoing investment of the community, the clear passion of its students and the continuing support of the JSS Mahavidyapeetha Trust, that we believe should have Very Good school status within its sights. To do this it must invest more heavily in SEND and inclusion – and stop qualifying course delivery by a minimum number of required students. The role of a school is to find the right courses for its children and it stretches the imagination to believe, for example, that less than 15 children would choose to study psychology. Formative and Summative assessment must improve too because that is the only way that child progress can be properly measured and responded to. We would like to see full publication of examination results – including the number of children who sat for each examinations – and the number who did not. Finally, we would like to see the formal introduction of scholarships and bursaries as befits the charitable and NFP founding of its owners. In modern Dubai, schools need to up their game – and we think that JSS International School should be taking a lead here. This said, we place JSS securely within the top 12% of Indian curricular schools in the UAE – and the foundations are all in place to move into single digits. Recommended. Thanks for your question. We hope to be able to visit the school in January, at which point we will be able to update the review. Please keep an eye out for it. Hello, Do you have the new campus review for the JSS? Please update. 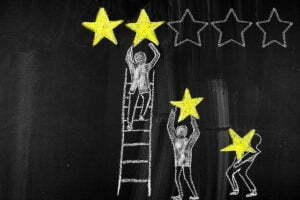 We do not yet have the review on SchoolsCompared.com, but we will certainly aim to arrange this for after the summer break. Please keep checking on the site. 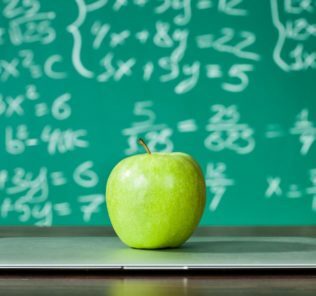 Meanwhile, our sister website, WhichSchoolAdvisor.com does have a visit review which you may find here: https://whichschooladvisor.com/uae/school-review/jss-international-school. For the many families which have contacted us, please find above our updated review. Many apologies for the delay in our updating our view of the new campus. We took the view that it was better to provide a realistic and fair verdict of school provision by allowing time for the children to settle, rather than rushing a review and identifying the teething problems which are inevitable in any “new” school opening.